My chapter has the habit of doing nothing with recruitment until the semester begins. Most of the incoming freshmen aren’t planning on going Greek, so holding rush events in the summer/winter break would be difficult. Last year, it took too long to get everyone bidded/pinned in, which put off the pledge process, so no one was initiated by semesters end. What can my chapter do to be ahead of the game when it comes to rush? How can I get my brothers on board with earlier recruitment? Leadership is about ownership. More importantly – owning your issues and your problems. Is anyone owning your problem with recruitment? Are you owning the problem? It only takes one guy to make a difference. 1 – Bring recruits to the house. You don’t need a set recruitment schedule to make new friends and bring them to the house. Take the initiative and do it on your own. 2 – Have the pledge class host a rush event during their pledge period. This is a must-do event I describe in my book The Fraternity Leader – The Complete Guide to Improving Your Chapter. It only takes one brother to guide the pledges into hosting a rush event. These pledges will be more in touch than the rest of the brotherhood with guys who are not affiliated. Don’t let this valuable opportunity go to waste. 3 – Teach recruitment. If you are good recruiter – share your knowledge with other brothers. 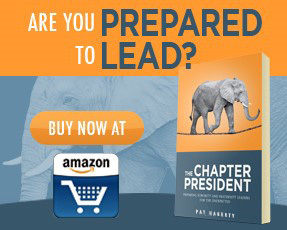 The Fraternity Leader – I dedicate an entire chapter of the book to developing an effective recruitment strategy. 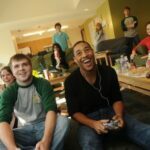 31 Days to Better Fraternity Recruitment – A great series of articles that will surely help you recruit better. 51 Rush Ideas that Are Working Right Now – Great ideas from current undergrads. 6 – Take a recruit to dinner. It doesn’t have to be anything formal. Just grabbing a burger and hanging out is sometimes the best way to get to know a recruit. 7 – Join a different study group in class with the purpose of meeting guys to recruit. It is hard to recruit if you don’t expand the sphere of people you know. Meet new people and your recruitment pool gets bigger. 8 – Send the alumni an email asking for referrals. They probably know someone who is attending your school and would be a great candidate. It doesn’t take more than 2 minutes to ask, and it could lead to a future brother. 9 – Ask friends in sororities for referrals. If they know a guy who is not affiliated but should be Greek – they will tell you. 10 – Be sure to invite potential recruits to your social functions. You will have parties during the semester. It is easy to get wrapped up in the event, and forget the recruitment possibilities. Forgetting would be wasting a great opportunity to introduce prospective new members to your chapter. 11 – Join another student organization. Like in #7 – you need to expand the circle of people you know. What better way that by joining another student organization? A plus to this is the organization probably has high-potential leaders who would be a great fit to your chapter. These are 11 simple ways and single brother can make a profound difference in the recruitment process. Take ownership of the problem and be a leader. Your chapter will be better for it. What Happens When Good Friends Don’t Join?